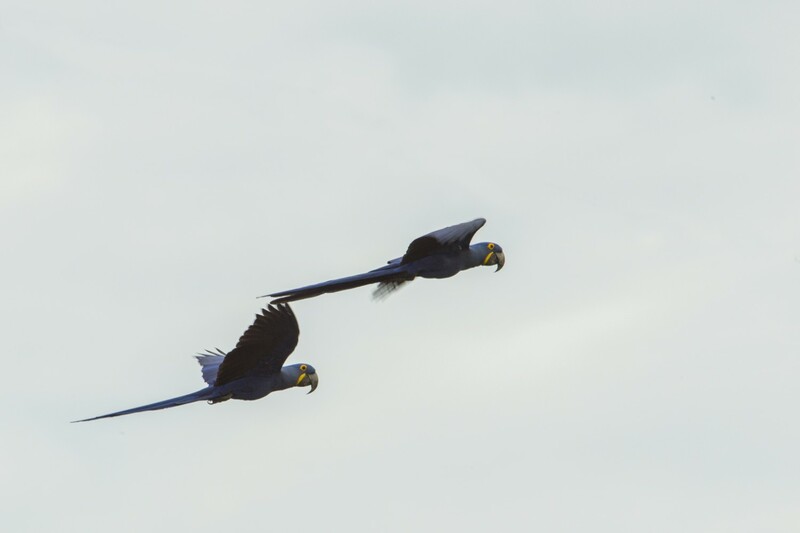 Soaring through the canopies of the Pantanal like a flash of sapphire light, the hyacinth macaw is a spectacular creature measuring about three feet long. It is the largest parrot in the world and easily one of the most impressive, possessing the ability to problem solve and an intelligence level comparable to that of a human toddler! Hyacinth macaws are found in north central and south central Brazil, eastern Bolivia and northeastern Paraguay. They are completely dependent on the fruits of a number of palm species, and are equipped with a powerful bill to crack open otherwise inaccessible nuts and seeds. Macaws are also able to eat poisonous seeds and unripe fruits that no other animals can digest. These striking creatures frequently travel together in small flocks of 1-8 pairs, using loud calls to keep in constant contact with one another. The birds typically mate for life, and nest in pre-existing holes in trees. Unfortunately, the hyacinth macaw is vulnerable to extinction due to habitat loss and over-collection for the pet trade. In the 1980s, it is estimated that at least 10,000 birds were taken from the wild. 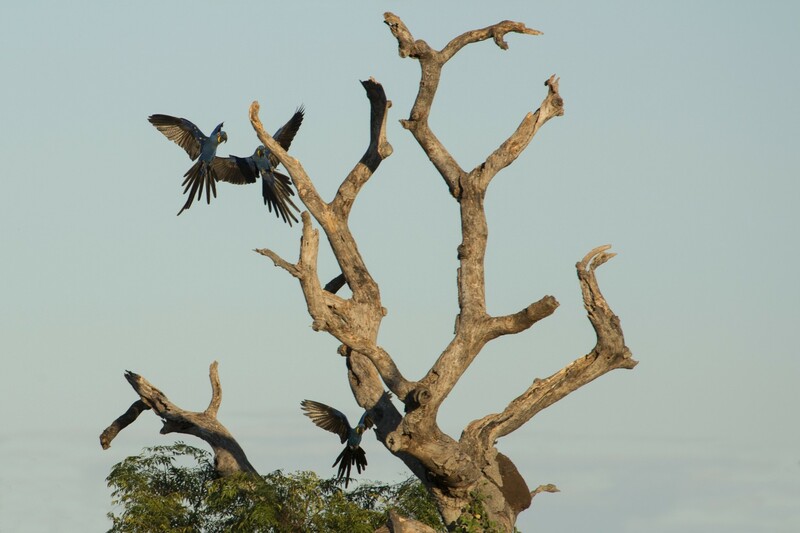 Though international trade is now prohibited, habitat loss due to cattle ranching, mechanized agriculture and the development of hydroelectric schemes continues to create shortages of nesting sites and destroy the native palms macaws need for food. 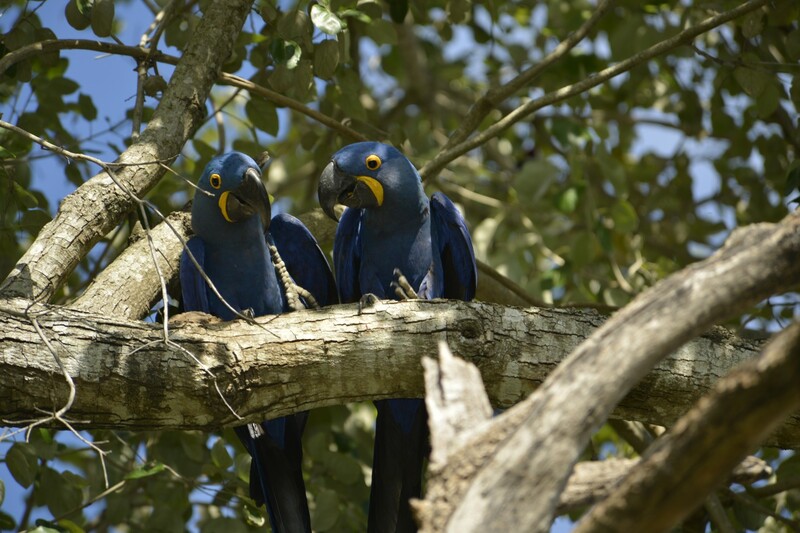 Only about 2,000-6,500 hyacinth macaws remain in the wild today. by supporting Nature and Culture. Nature and Culture International is currently working with local NGOs to increase protected areas in Brazil, with particular emphasis on the interface between terrestrial and aquatic systems. 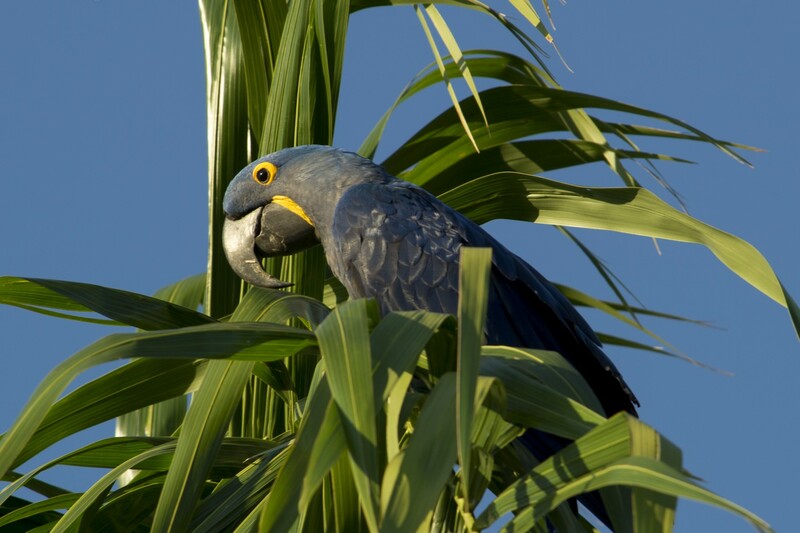 We recently helped save the Pantanal Biosphere Reserve, protecting charismatic species such as the hyacinth macaw, the giant river otter and giant anteater. 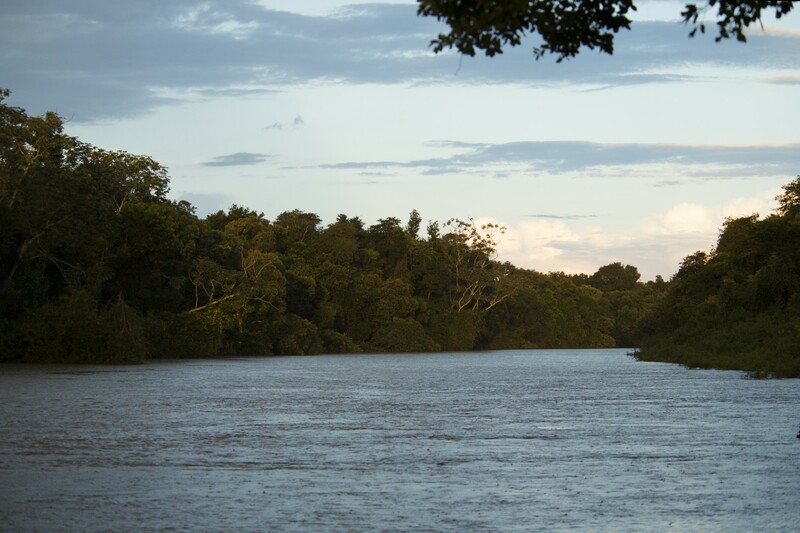 Brazil’s Pantanal is the world’s largest tropical wetland and renowned for its wildlife. With our in-country partners and government officials, we are collaborating on a potential expansion of the reserve by several million acres. To learn more about our work in Brazil, visit our page on Brazil. Have a few more minutes for our winged friends? Check out our blog post about this year’s World Big Day, a friendly competition as to which country can register the most bird species in one day. This year, our Director of Latin America Renzo Paladines joined forces with renowned ornithologists Juan Freile and Manuel Sánchez to participate.